At first, my overriding impression at the recent ‘Translation & Transmission’ conference, held in Keystone, Colorado in October, was one of plenitude. First and foremost, there was the plentiful discussion, both public and private, on the nature and challenges of translation. This ranged from the more generalised, such as the wonderful opening keynote address by David Bellos, to the more specialised, in which the focus was on topics of particular concern to those of us immersed in Tibetan literature. Then there was also the abundant generosity exhibited by the Tsadra Foundation, who organised the event. For there is no doubt that this was a major undertaking, conceived on a grand scale and then enacted with a careful attention to detail, from the decoration of the venue, with its beautiful thangka reproductions and huge posters charting Tibetan translation through the ages, down to the bountiful goody bags and lavishly printed programs. Finally there was the schedule. So much was squeezed into the two and a half days that I can’t have been alone in struggling to keep pace with it all. Those of us who had thought of posting updates on social media were soon overwhelmed – although all credit is due to Andrew Quintman, who demonstrated exemplary tweeting stamina. Now that the whole conference is effectively available online, perhaps we will all have the chance to go over it again at our own leisure and absorb it more slowly. Quite explicitly, the event was seen as a follow-up to previous gatherings, including the Bir conference in 2009 and the Tengyur conference in Sarnath in 2011 (about which I have already written), but especially to the Light of Berotsana’s pioneering event, which also took place in Colorado, in 2008 (and which I missed). (Incidentally, the effect of meeting the same people only once every two or three years is giving these events the feel of a Richard Linklater film like Boyhood.) 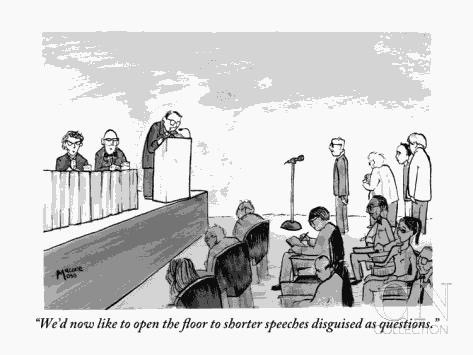 Some might wonder whether so many conferences, all covering similar ground, could result in stagnation or repetition: the same points being made, or the same anecdotes being told and retold, again and again. Well, that was certainly not a problem this time (even if I had heard one or two stories before). The decision to invite David Bellos, best known for his translations from French and the essential Is That a Fish in Your Ear? Translation and The Meaning of Everything (2011), and have him open proceedings was a bold but brilliant one; his fascinating talk alone made all the effort and expenditure involved in getting to Colorado worthwhile. (His exhortation for translators to be kind to their readers and not to punish them or make them feel stupid obviously struck a chord with many speakers and was echoed time and again). Then there were the other major figures whose authoritative voices had not been heard at previous gatherings: Janet Gyatso, for example, who made some truly thought-provoking points in her keynote address on the nature of transmission. Thupten Jinpa too played a major role and delivered an exceptional summary at the close. Other speakers I had never heard before, but whose reputations certainly preceded them, included Dan Martin, Kurtis Schaeffer, Karma Lekshe Tsomo, Andrew Quintman and Donald Lopez. It is fair to say that the academic contingent dominated proceedings, but translators from outside the academy were also well-represented. And, to some extent, it is only natural that professors should do more of the talking – that is, after all, what they do. There is also the fact that so many of the most senior figures in this field have combined translation with teaching in a university. The model of the conference too followed the usual academic lines, with a (full) schedule of keynote lectures, plenary sessions, and workshops. Then there were the special ‘events’ in the evenings, during which Robert Thurman and Jeffrey Hopkins provided the entertainment by reminiscing, opining and – in Professor Hopkins’s case – reciting poetry. Other highlights included Zenkar Rinpoche’s account of his first ever meeting with Gene Smith (on the London Underground), Catherine Dalton’s moving explanation of what oral translation can be, and Karma Lekshe Tsomo on the (mis)representation of women in Buddhist texts – and while women were well-represented as attendees at the conference, this remains a male-dominated field, with Janet Gyatso the only female keynote speaker. It was also wonderful to see Sidney Piburn presented with a lifetime achievement award – a Mañjushri statue – for his work at Snow Lion Publications. Not much was said about technology and the changing nature of the text. And given that the theme of the conference was translation and transmission I was surprised not to hear any reference to Jay Garfield’s excellent article, Translation as Transmission and Transformation (or perhaps I just missed it – the altitude and the jet-lag did take their toll). Equally lacking, perhaps, was any discussion of openness, sharing and collaborative tools and resources. So what did the conference achieve? Well, there were some announcements at the end about future prizes and grants, but there were no major decisions taken and no major new projects announced. To be fair though, that was never the aim. Yet I believe the event was still a milestone. Why? Well, looking back, it seems that even more impressive than all the examples of plenitude was the appreciable sense of community (as Thupten Jinpa noted in his concluding remarks). As brief as this gathering was, it offered a chance to reconnect with old friends and to meet other colleagues for the first time, and that alone made it a great success. The dialogue that is now well under way, and which the Tsadra Foundation so generously helped to sustain and strengthen here, will ultimately outlive us all. But the fact that it seemed to go a little deeper this time is a testament not only to the foresight of those who planned this particular event, but also to the vision of those who have contributed to the broader process. Thank you all. 1. This observation was made during the conference itself by Wulstan Fletcher. 3. I mean, seriously, let’s all just agree to adopt Creative Commons already! This entry was posted in Conferences and tagged Andrew Quintman, Buddhism, conference, David Bellos, Tibetan, translation, transmission, Tsadra, Tsadra Foundation on December 3, 2014 by Adam.